I'm not the artist here, just the technician. 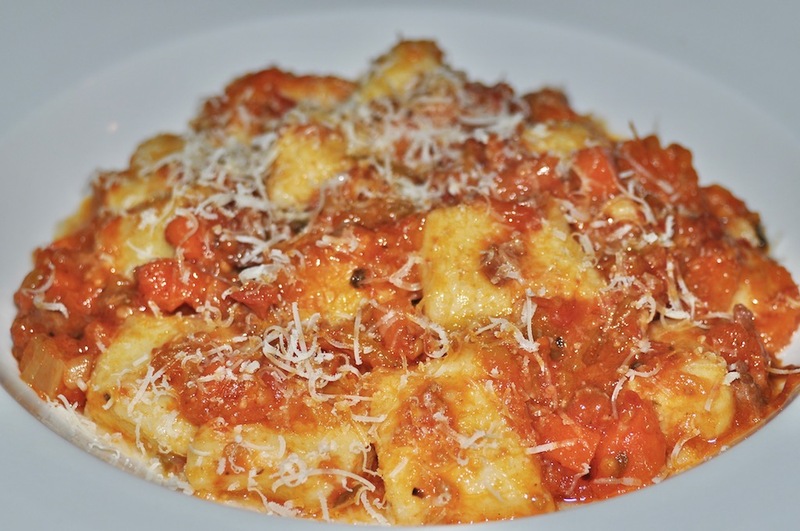 There's a good reason Carmellini titled this recipe "The Best Gnocchi." 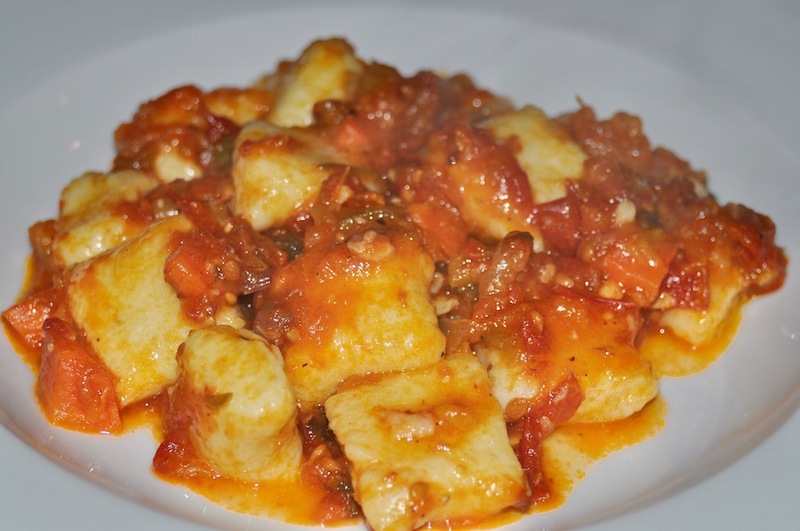 When it comes to potato gnocchi that is exactly what they are. I have never made a lighter, more luxurious potato gnocchi than I have when using this recipe. 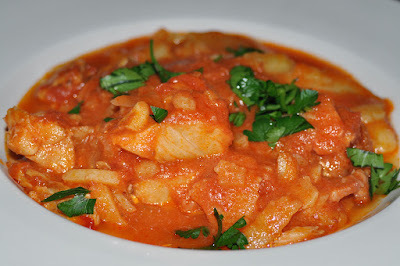 And so if I am not making my own cheese gnocchi recipe then I am using Carmellini's potato version. If you enjoy a fine potato gnocchi then I strongly suggest you do the same. Start with around two pounds of Idaho potatoes. Clean them, put them on a baking sheet, and into the oven they go (425 degrees F should do it), until the flesh is nice and soft. These took a little over an hour. 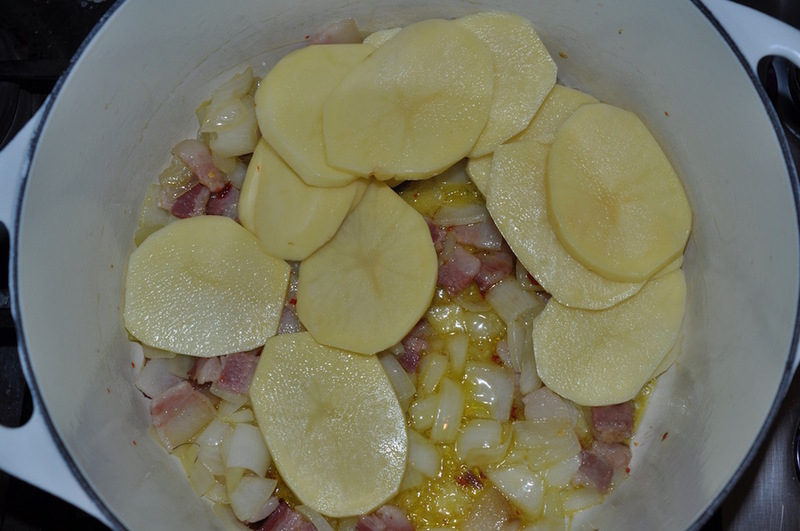 While the potatoes are baking it's best to get all of your other ingredients together and ready to go. 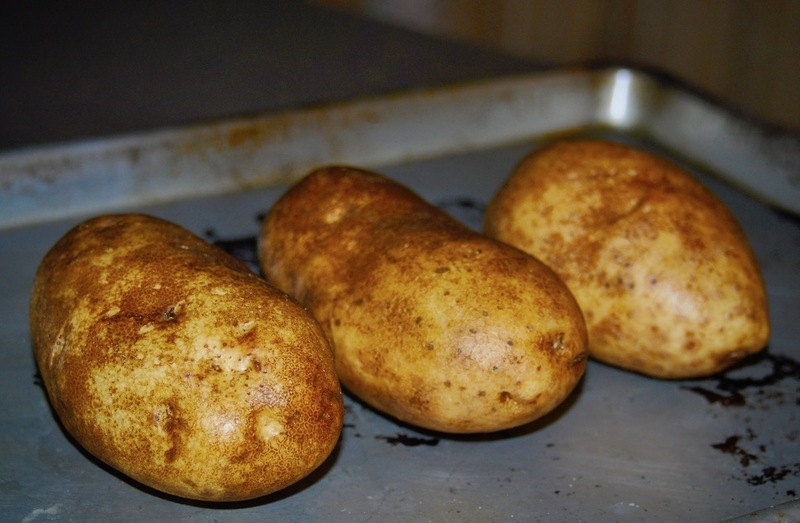 The reason is that you'll want to mix them into the potatoes while they're still warm out of the oven. This is very important. 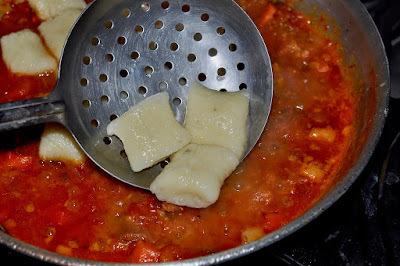 You do NOT want the potatoes to cool down before mixing the gnocchi dough. 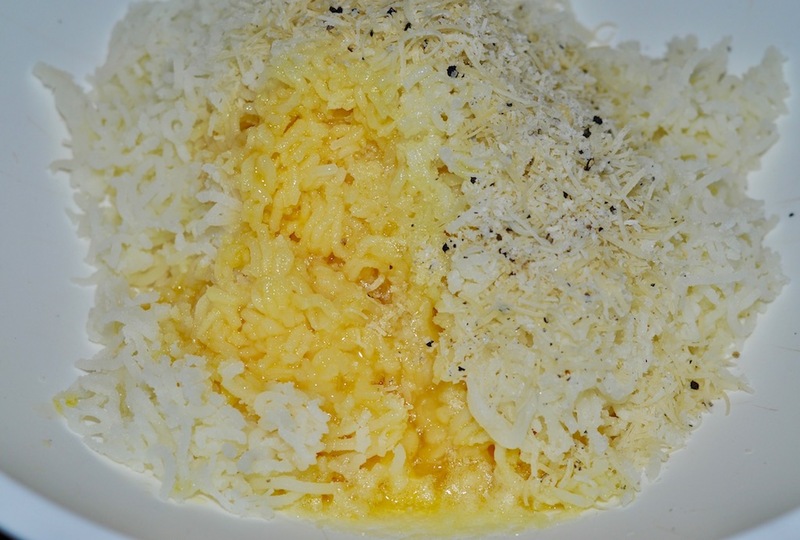 What you'll need is 1 beaten egg, 1 tablespoon extra virgin olive oil, 1 tablespoon melted unsalted butter, 2 tablespoons grated Parmigiano-Reggiano cheese, 1 teaspoon salt, and 1/4 teaspoon course ground black pepper. In addition you'll need around 1 1/2 cups of all-purpose flour on hand. When the potatoes are cooked slice them open and scoop out all the flesh while it's still warm. 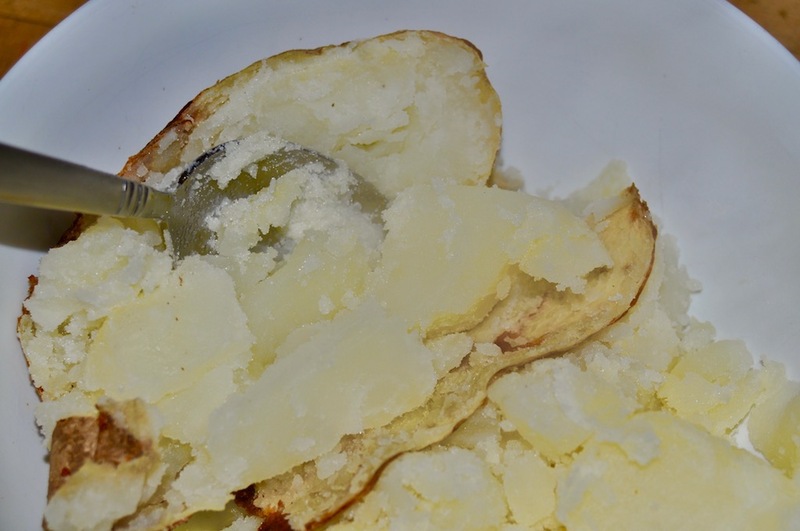 Run the potato through a ricer (use the smallest die) and into a mixing bowl. 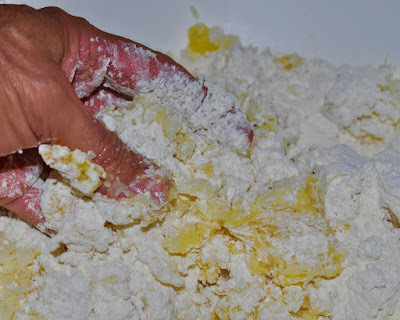 Immediately add all the other ingredients, except for the flour. 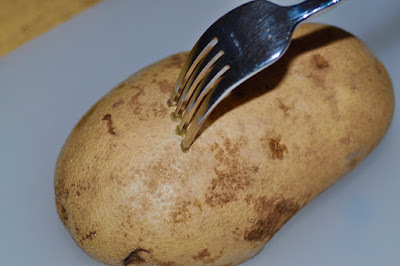 And gently incorporate, using your fingers. 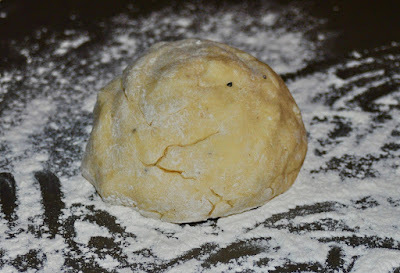 Then add 1 cup of the flour and very gently mix all of the ingredients together until a dough forms. The dough should hold together but not be sticky; if it does feel sticky work in a little bit more flour. Note: Do not take the term "gently" lightly. 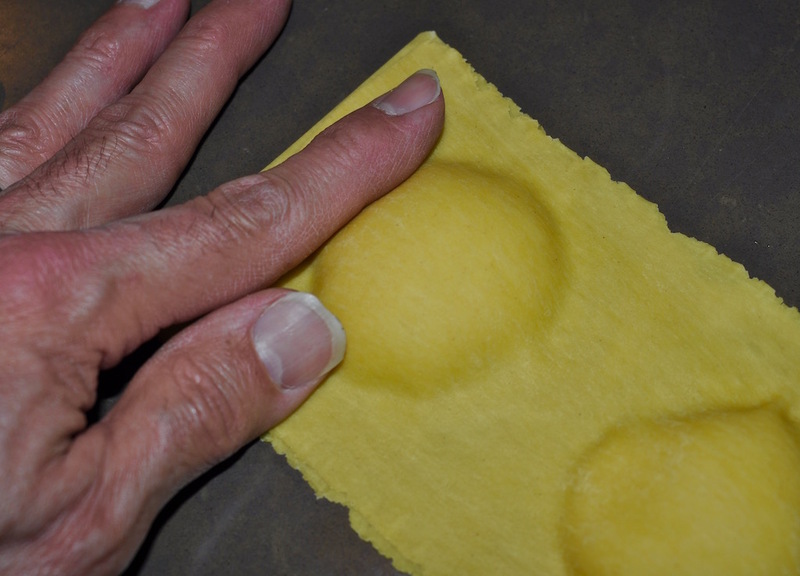 A successful gnocchi dough requires a very light touch. 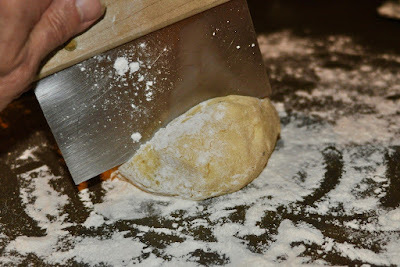 Anything more forceful will make for a heavy, tough gnocchi. Please. Trust me on this. Form the dough into a ball and turn it onto a well-floured work surface. With a pastry cutter (or just a knife) cut an inch-or-so-wide piece of dough from the ball. This is about what you'll wind up with after rolling. Each strand you roll out then gets cut into inch-wide gnocchi, like so. Just a note: This recipe will easily feed four people. If you don't want to cook all the gnocchi at once then lay some out on a well-floured baking sheet and put them in the freezer. 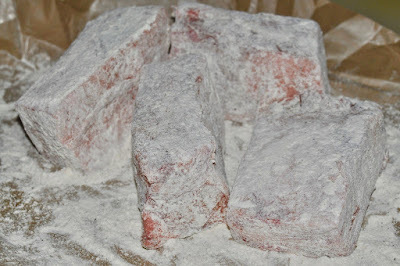 Once the gnocchi are fully frozen tranfer them to a freezer bag and store. 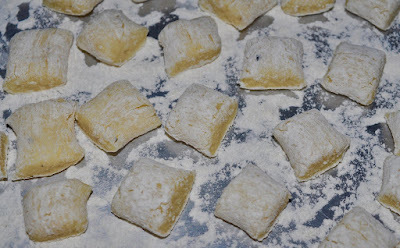 It will only take a couple minutes for the gnocchi to cook; as a rule of thumb figure that when they are all floating atop a rolling boil of water the gnocchi are done. 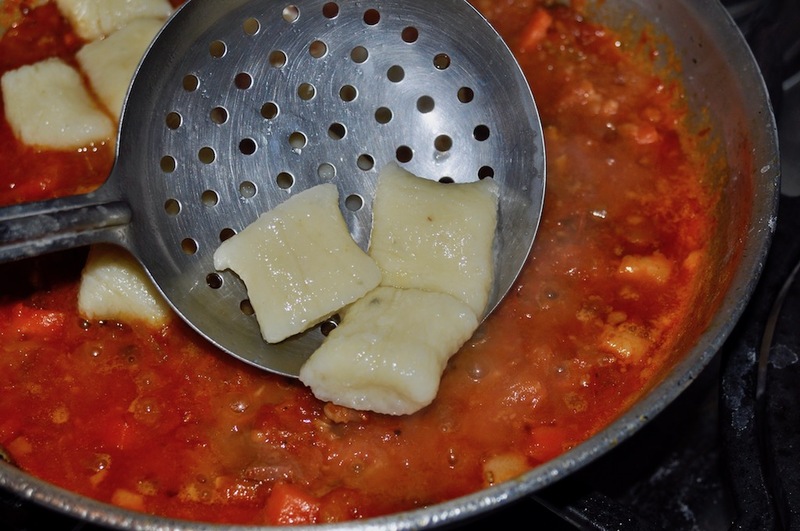 Do NOT empty the gnocchi into a colander, as you might with some other pastas. 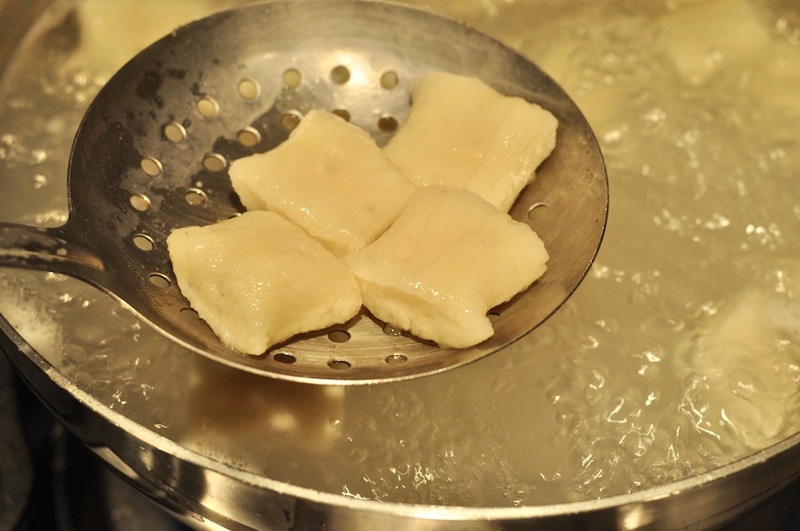 Take them out of the water using a slotted spoon and transfer into a pan with whatever sauce you plan on using. 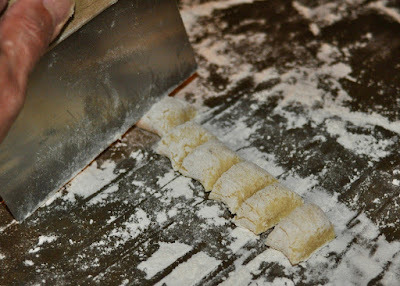 Then gently stir and transfer the gnocchi to individual plates for serving. 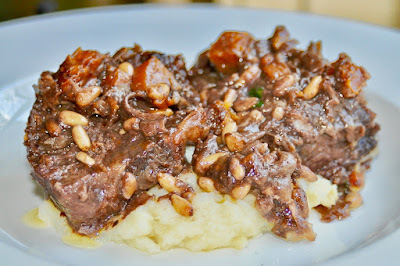 I promise that if you take your time and use a gentile hand you will thank me for this recipe. Just as I thanked Chef Carmellini years ago. This is one of those cook-it-today-but-maybe-eat-it-tomorrow kinda deals. The flavors knit together even better with time. I had it both ways. 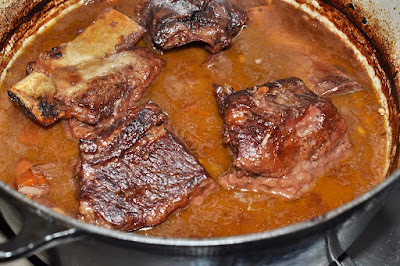 The batch of short ribs I prepared the other day were eaten that same evening, but there were enough leftovers for another couple of meals. I ain't as dumb as I look. Very liberally salt the ribs (4 1/2 pounds here), and don't forget some freshly ground black pepper. 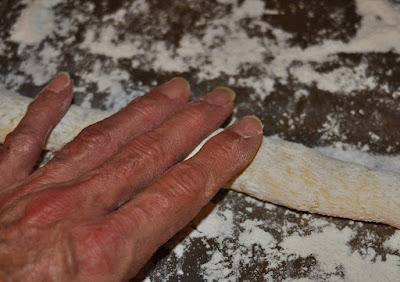 Then dredge in all-purpose flour. 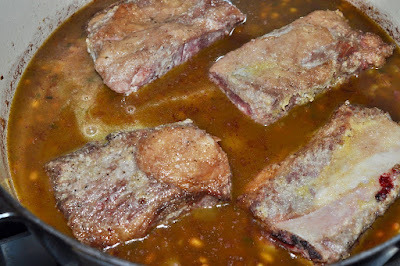 In a large dutch oven brown the ribs in a plenty of olive oil, then remove and set aside. 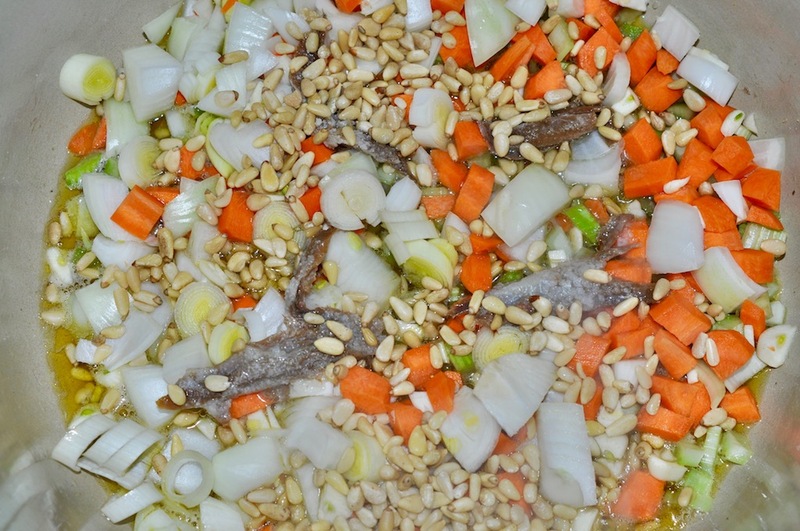 Add one diced onion, two celery stalks, two carrots, one leek, eight garlic cloves, a few anchovy filets, some thyme, and half a cup of pine nuts, and saute until softened. 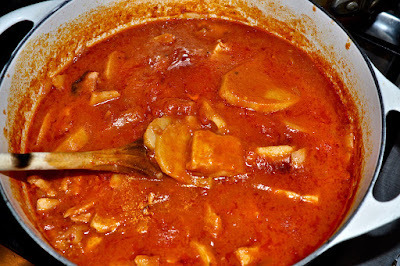 Then add a bottle (750 ml) of red wine (I used an inexpensive Sangiovese but most any dry red will do) and turn up the heat to high. Note: If you prefer to use a dry white wine instead, nobody's stopping you. 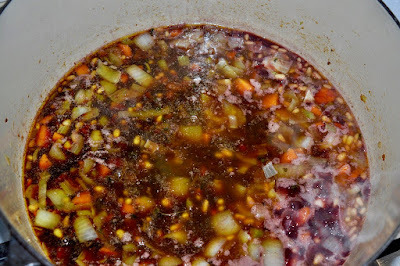 After the wine has boiled for five minutes or so add a quart of homemade stock (I had chicken stock around but beef or even vegetable stock would be fine). Cover and put in the oven, preheated to 350-375 degrees F. The ribs should cook for around three hours, but every 45 minutes or so turn the ribs. 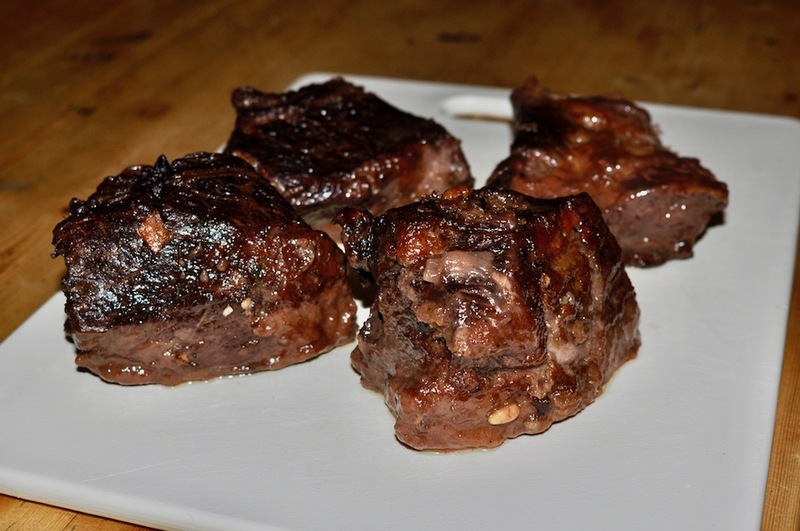 These short ribs were in the oven exactly three hours. 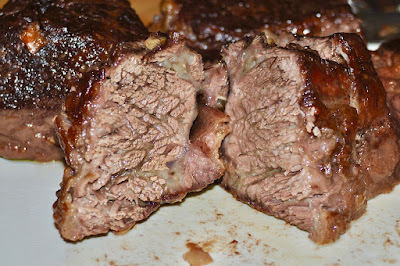 When I put a fork to the meat it was about as soft and tender as it gets, which is what you want. 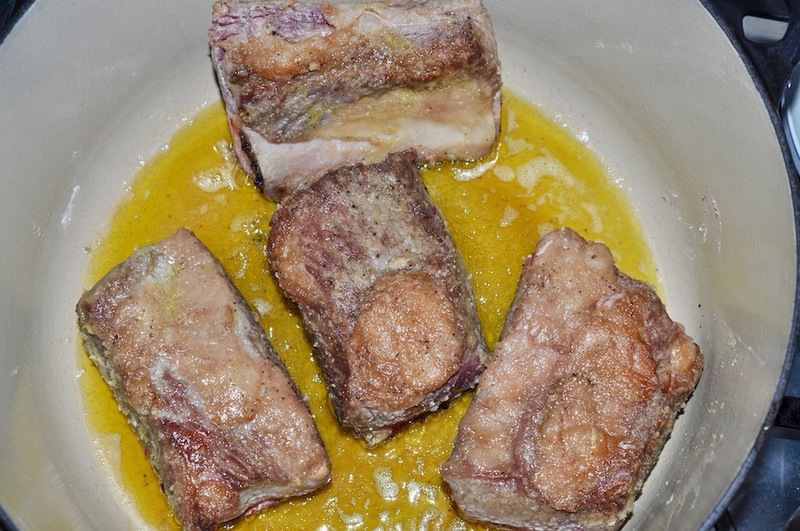 Remove the ribs and toss the bones. 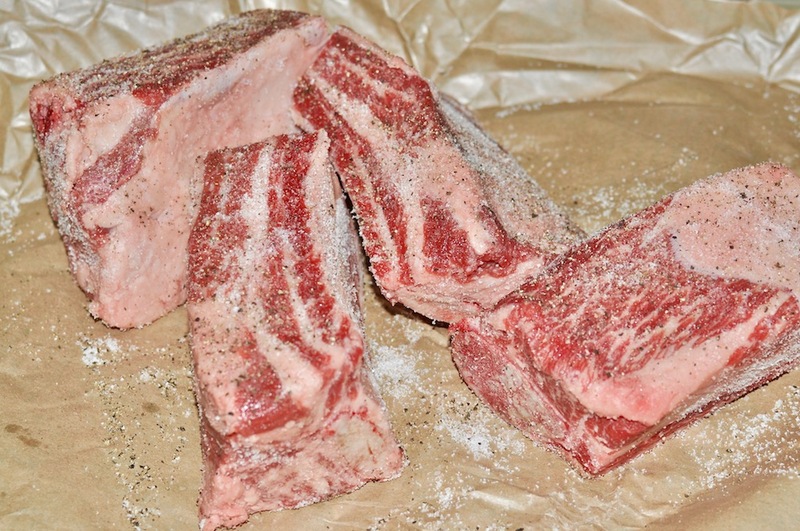 Then slice the meat into inch or so pieces. And serve with some of the sauce. 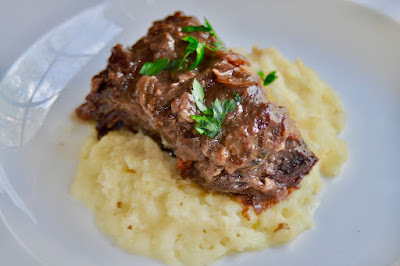 On this particular occasion My Associate had prepared a very nice mashed potato and celery root combo, which turned out to be a pretty much perfect match. 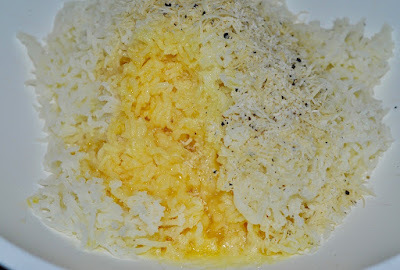 However, most anything will work here (egg noodles, spaetzle, polenta, whatever). Just be sure to make enough for those leftovers. They only look like the ones your mother used to make. Far from it, actually. 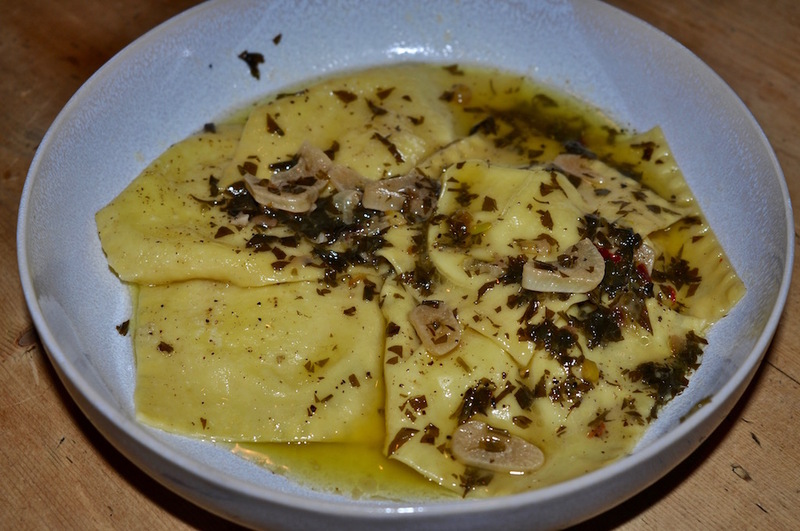 These ravioli are filled with potato, not ricotta. The only cheese inside is a little grated Reggiano, and that's for flavor, not texture. I know what you're thinking: Must be pretty heavy. Like pierogi maybe. Cannonball type stuff, right? Nope. These are pretty light as ravioli go, so long as you treat the filling just right. 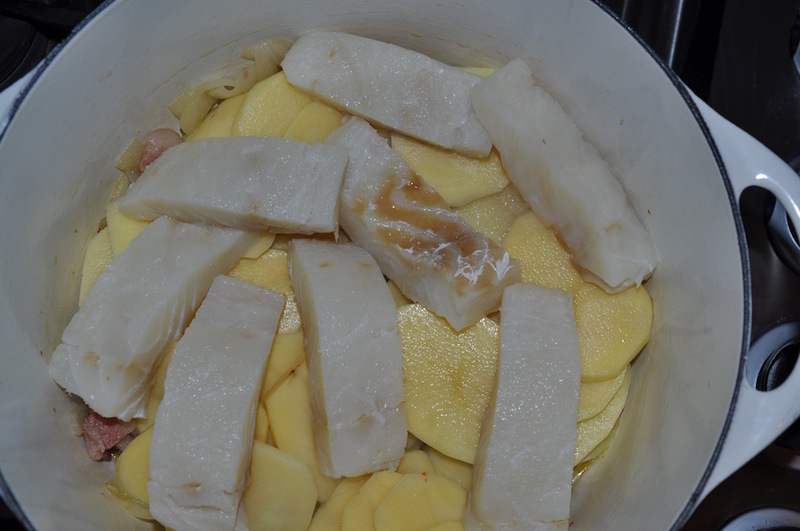 Start with around 2 pounds of Russett potatoes. 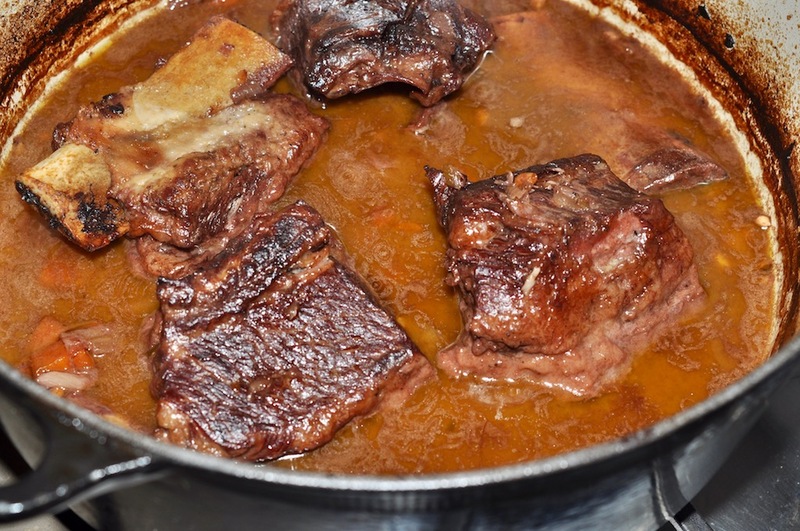 With a fork pierce the skin in several places and bake until the flesh is thoroughly softened. It's totally cool to microwave the potatoes instead; after all, we'll only be using the flesh, not the skins. Just don't boil the potatoes, okay. Far as I'm concerned that always makes for a heavier filling. Once the potatoes are baked allow them to cool just enough so that you can work with them without burning your fingers. 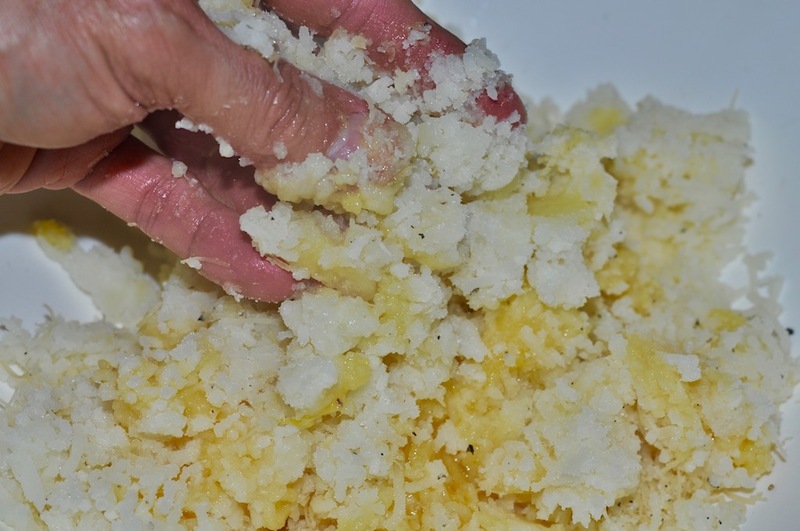 Remove the skins and run the potatoes through a ricer and into a mixing bowl. Mix in one egg, three tablespoons melted butter, 1/2 cup freshly grated Parmigiano-Reggiano, a dash of nutmeg, salt (don't be shy here, okay) and pepper to taste, and enough milk to moisten the potatoes. I'd start with 1/4 cup and add from there as needed; the idea is to achieve a nice and smooth filling, but not a runny one. For good measure stir in some extra virgin olive oil, at which point the filling should be good to go. Taste it and adjust as you see fit. 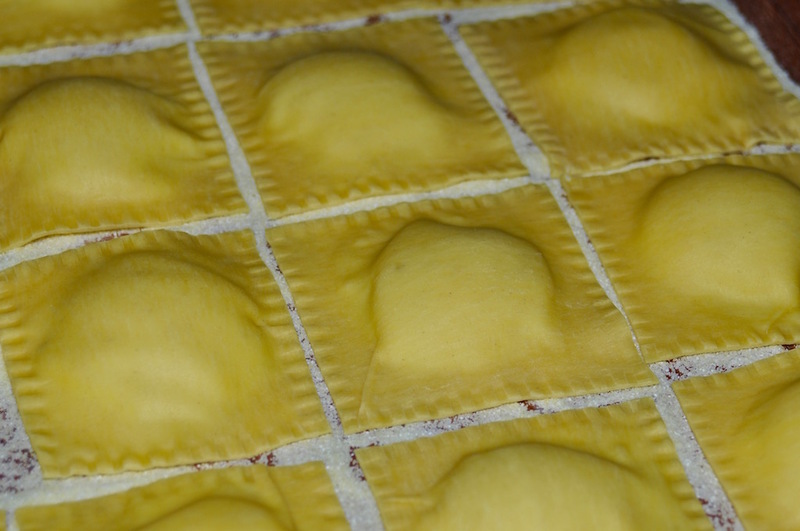 You can now get right to work on making the ravioli, or refrigerate the filling until you're ready. It will last in the fridge a few days. All that's left to do now is put the ravioli together (here's my fresh pasta dough recipe in case you need one). 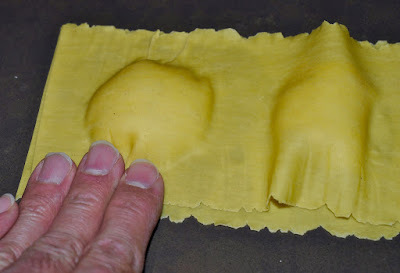 These pasta sheets are very thin, rolled out to the 1.5 setting on my pasta machine, which ranges from 1-10, thinnest to thickest. 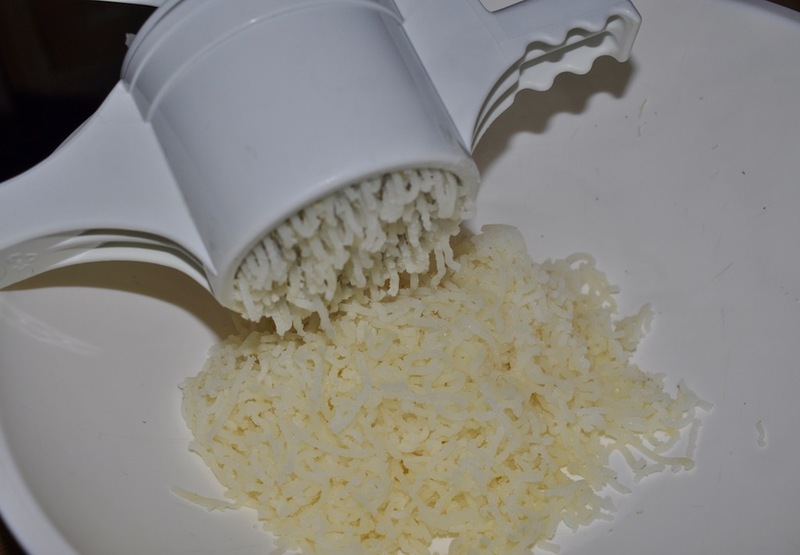 You can see that the filling is creamy without being runny; that's the consistency you're looking for. To keep the ravioli from having air pockets carefully lay down the top pasta sheet with that in mind. 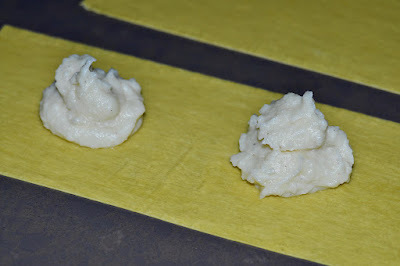 I always begin at one end and slowly roll the top sheet down over each dollop of filling. To me that works better than lowering the entire top sheet down onto the bottom sheet at once. 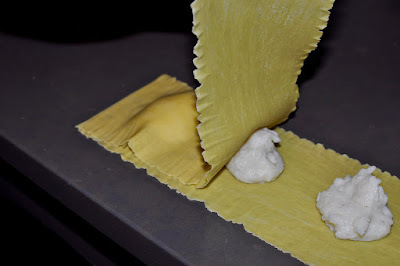 One at a time start to form the ravioli; again, being careful to allow all of the air to escape. This is how things should look. It's not the end of the world if a little air is left inside the ravioli; just do your best to keep it to a minimum. All that's left to do now is get out your pasta cutter and cut the ravioli. 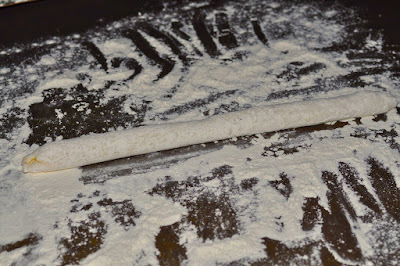 As I said, the dough is thin and delicate. When you boil the ravioli (in very well-salted water, of course) they should only take around 3 minutes. The great thing about this filling is that it goes great with most any kind of sauce you can conjure. 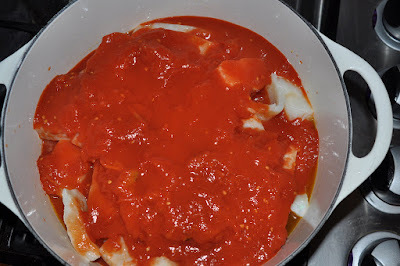 This is a really simple sauce that I made here. 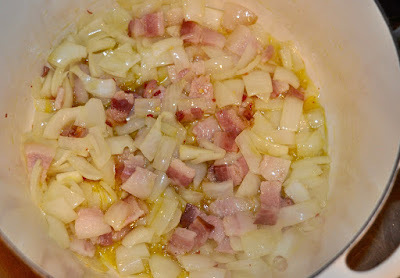 I just sauteed some garlic and a little hot pepper in olive oil, then added lots of sweet butter, white wine and chopped parsely. In a couple minutes enough of the wine had reduced so that the flavor was just right. Easy peasey. 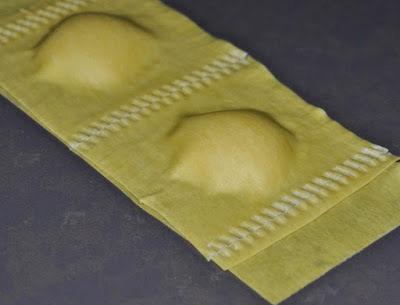 Then again, I have some leftover filling from the other night and I'll be making a small batch of the ravioli for dinner tonight. 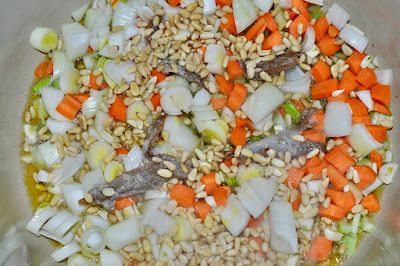 This time it'll be a Bolognese sauce, I think. Which is a lot more like what mom might have made. The first time I saw a bowl of potato salad, at a summer barbecue in my Uncle Chick's backyard, I looked straight into My Sainted Mother's eyes and demanded an explanation. "Why is it white?" I whined. "And what happened to the string beans?" "This is different," mom said scooping a bit of the colorless mass onto my plate, the plate that was filled with bright roasted red peppers and charred fatty Italian sweet sausages hot off the grill. "Try some, it's good." 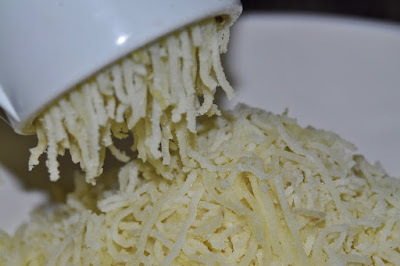 And so another favorite food was discovered. I like potato salad a lot, eat it alongside burgers all the time. Hell, give me a bowl of the German style, a loaf of pumpernickel bread, and a quiet spot where I can be alone and I am all set, thank you very much. 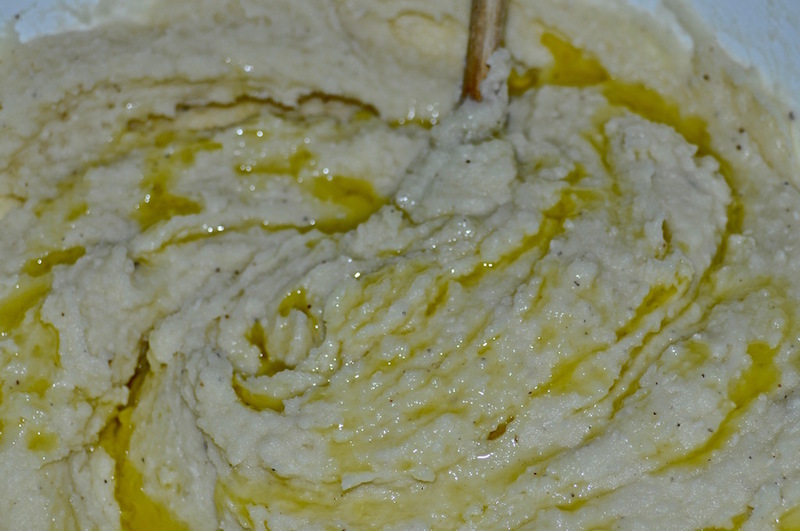 But the "potato salad" that I first knew as a boy, the one that my Italian-American mother prepared beautifully (and regularly), is still the best, I think. Not that the comparison makes the slightest bit of sense, mind you. After all, we are talking about a string bean salad. Good. Because it's a perfect summer salad, especially welcome at outdoor cooking events. Oh, and it's a total no-brainer to prepare. Boil the beans, and a couple of diced potatoes, until tender. After they've cooled a bit put them in a mixing bowl and add some sliced red onion, a diced garlic clove, olive oil, red wine vinegar, and salt and pepper to taste. 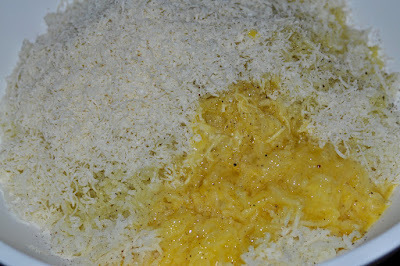 Then just mix it all up and you are done. Some people like string bean & potato salad cold from the fridge, others at room temperature. I like it either way. No matter what it's called. One night when I was a boy I rolled out of bed in the middle of the night and crushed the back of my skull on the sharp corner of a massive cast iron radiator. We're talking actual trauma here, folks. The dent that it left on the back of my head is still there. I tell you this because it is perhaps the only way to explain why I never put these two vegetables together before today. Seems my brother Joe has been right all these years. I really did get a lot less smart after that head cracking. And so I'll thank one Julia della Croce for setting me straight in this vegetative matter. In her very nice cookbook, Italian Home Cooking, there is a recipe called "Viola Buitoni's Sauteed Broccoli Rapini with Potatoes." The only thing that kept me from smacking myself upside the head when I came upon this brilliant joining of two vegetables was the fear of doing any more damage than already has been done. This is simple stuff we're talking about. You boil a couple of potatoes and peel them after they've cooled. Just don't let them get soft, because you'll be cutting them into pieces for frying later. Take a mess of whole garlic cloves and saute them nice and slow in olive oil, then set aside. While you're doing this, take a bunch of broccoli rabe, chop it into 3-inch pieces, cook in salted water for about 5 minutes and drain. Fry the potatoes until golden. Then add in the rabe and garlic to the pan, season with salt and pepper, and mix together thoroughly. Are we talking head-smacking material here or what?